The overall condition of Redwood Creek’s coho salmon is Poor. The overall condition of Lagunitas Creek’s coho salmon is Poor. 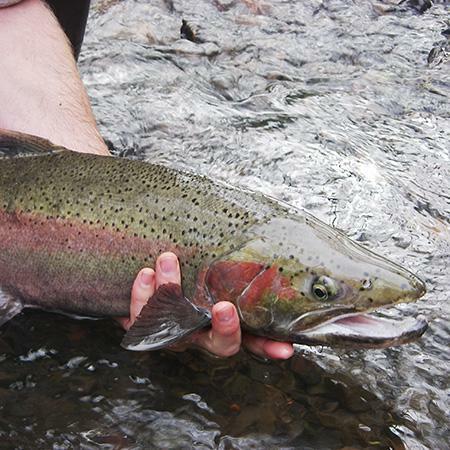 Steelhead trout are in Poor condition. The current condition is Good. Spending part of their lives in freshwater streams and part in the ocean, anadromous fish like coho salmon (Oncorhynchus kisutch), steelhead trout (O. mykiss), and threespine stickleback (Gasterosteus aculeatus) are good indicators of riparian habitat quality, hydrological conditions, and ocean health. 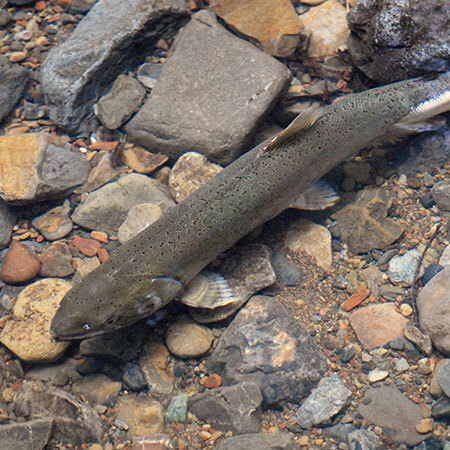 Anadromous fish are also an important food source for many species, as well as a source of marine-derived nutrients for riparian communities. 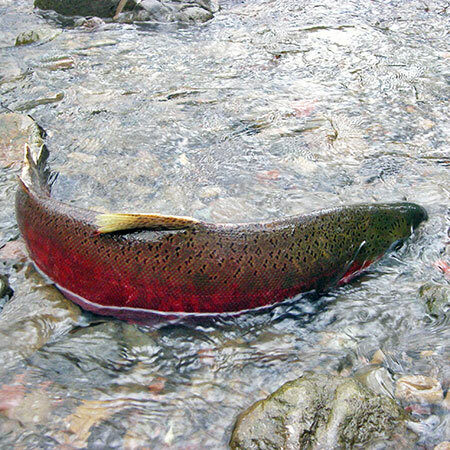 Learn more about the condition and trend of these important aquatic residents of Mt. Tam through the links below. Endangered populations of coho salmon and threatened steelhead trout live in Redwood and Lagunitas creeks in the One Tam area of focus. The land management agencies on Mt. Tam and their partners have been monitoring these species for decades, counting adult spawners, estimating the number of juveniles, and (since 2006) monitoring smolts heading to the ocean. These long-term data sets provide ample information to make an assessment of the condition and trends of these species. 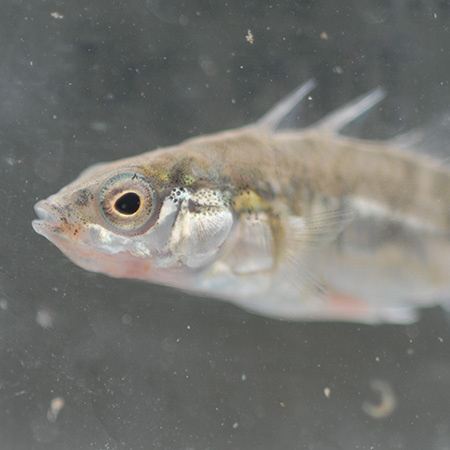 Less is known about the tiny threespine stickleback, which is caught incidentally during salmonid surveys and has not been the subject of targeted monitoring efforts. A lack of threespine stickleback in suitable, accessible habitats could be evidence of poor water quality or other problems with stream habitat conditions. However, based on limited data this species appears to be abundant and widespread in the One Tam area of focus.